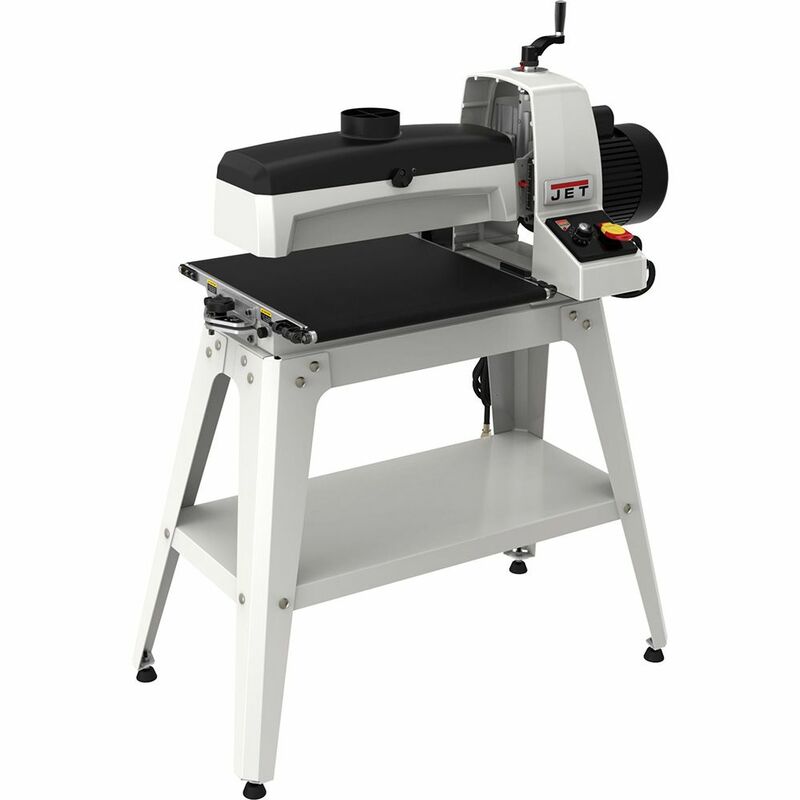 Sand smooth, perfectly flat panels in just a few easy passes with the Jet 1632 Drum Sander. 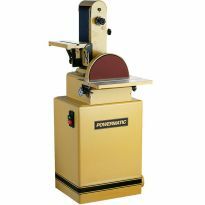 Sand panels up to 32'' wide in just two easy passes with the Jet 16-32 Drum Sander. 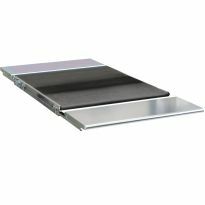 One pass will sand a panel up to 16'' wide. Simple tool-free knobs let you adjust the drum parallel to the table to eliminate crowning and unsightly lines in the middle of panels over 16'' wide. Variable-speed dial lets you choose the optimal feed rate for a wide range of projects and wood species. Sandsmart technology continuously monitors the load on the drum motor and adjusts the feed rate to prevent overload. The mirrored design of the dust hood optimizes dust flow. 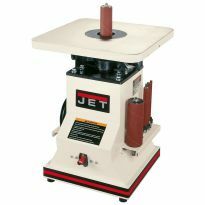 Try the Jet Drum Sander today to achieve effortless, professional-quality surfaces. I just got this Jet 16-22 sander a few days ago and so far everything is great. I really like the new features compared to an older (Performax) 16-32 that I used for 10 years and will keep as a back-up. I am excited to see how this sander will do. 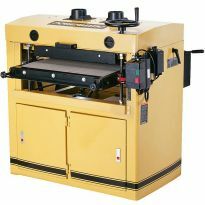 So far, this drum sander has proven to be a very capable, smooth running and well-built machine. First of all, I need to disclose that this is my first drum sander. As such, I do not have anything to compare this to. But, I LOVE THIS SANDER!! I turn segmented bowls and have always either lapped the bowl rings or used a 12" disk sander. That always left lots of dust in my shop for clean up later. 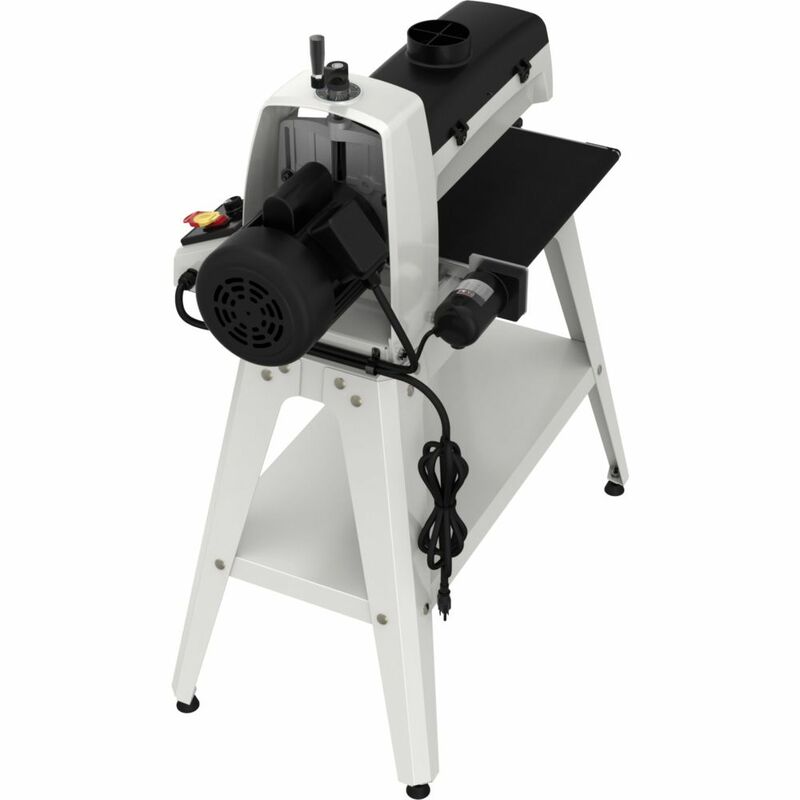 With this drum sander, THERE IS NO DUST! I connected my 2 1/2 shop vac to it via a 4 to 2 1/2 inch adaptor and it gets 99.9% of the dust! Again, I'm not a new woodworker, but I am new to drum sanders. And, this is freakin' awesome. Set up was quick - able to do it by myself. I was up and running within an hour. great little sander. This is a great sander! This takes sanding to a whole new level, self feeding makes it so nice, highly recommend getting one. In general, it’s a great addition to a shop. I only have two complaints: I have a bit of a problem fitting my fingers into the ends of the drum to get to the clamps, especially the inboard side. Also, the motor, at 1-1/2 HP, needs to be on a 20 amp 110 volt circuit, and It cannot be rewired to 220 volts. This machine works great but I had the problem that my wheels bent under as soon as I put them on. I just took and built a bottom shelf and put 1 inch washers on both sides of the 1/2 inch plywood. This worked great and I now have more room for storage. Poor design for abrasive chnage. Having owned this model for a couple years, I must say that the jet design with the clams to hold the abrasive paper is just poor. Take much finagling to get the paper clamped and to hold. Often the clamp closet to the motorr give way and the end starts flailing around. Would not but this again, looking to get rid of this frustatastion. It's a Jet, lol! I've always heard they were good quality tools and the reviews confirmed that rumor. I guess I'm going to find out. I have other Jett equipment and I'm totally impressed with the quality.. 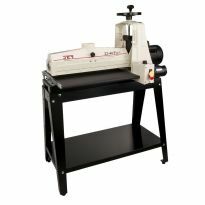 I chose this drum sander based on several magazine reviews. I want to know how hard it is to change sand paper? 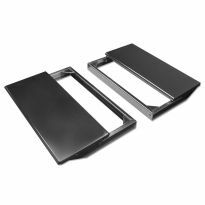 What is the conveyor made of? 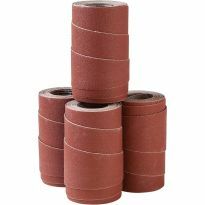 Rubber or sandpaper? 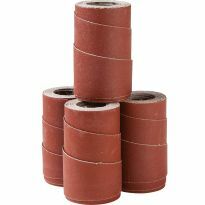 BEST ANSWER: A super durable sandpaper. Almost like the stuff on a skateboard. Or on stairs to keep from slipping. It is not sandpaper but it is coarse like sand paper. it could be rubber. It's not rubber. It more closely resembles sandpaper. More like very heavy sandpaper. Very good grip. The video shows casters on the stand. Are casters included for mobility? BEST ANSWER: No, casters are not included. I purchased an optional mobile base with mine. If you want to move it around that is the only way to go. 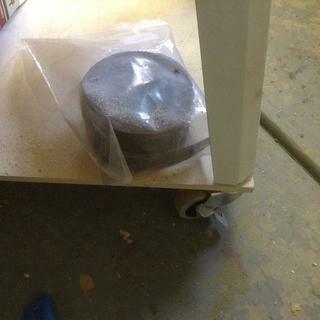 The casters, that came with my Drum Sander, work great for mobility. I roll my drum sander out of the garage onto the driveway, when I work. The castors lock securely. Negative. 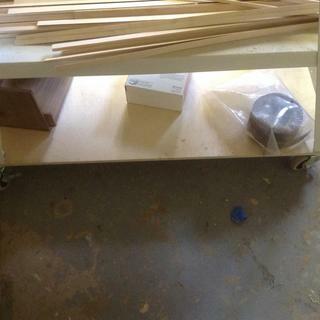 You’ll need to remove the rubber feet (or just refrain from installing them) and add your own casters. Takes 10 min. Casters are not included if I remember correctly. I added some to mine. 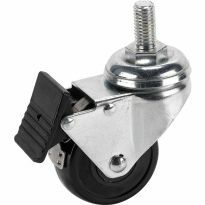 The casters are purchased separately, but obviously for portability. 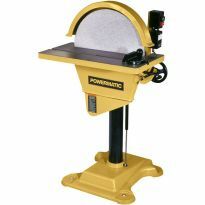 what's the difference between drum sander and drum sander plus?